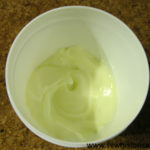 Today I made my own shaving cream. 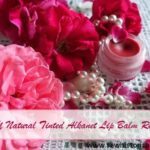 😀 I didn’t know that it’s so easy to make homemade shaving cream – and what’s best it’s all natural! It’s actually a Victorian recipe for shaving cream. 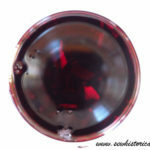 The Victorian recipe doesn’t state how much to use of each ingredient, and the spermaceti has to be replaced today. 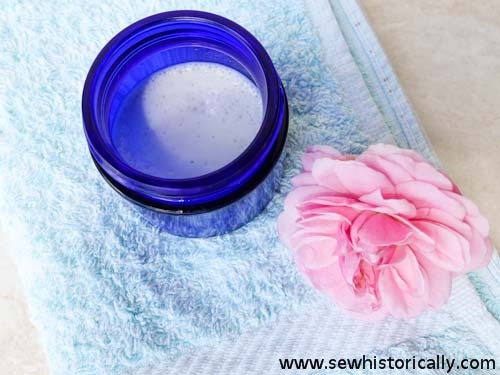 The ingredients ‘white wax, spermaceti, almond oil and rosewater’ sound very much like Victorian or Edwardian cold cream, so I replaced all those ingredients with my homemade Edwardian cold cream. 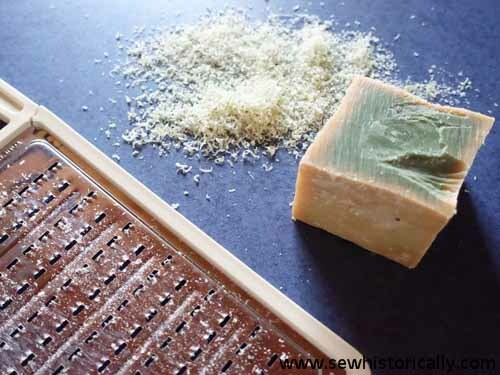 Grate the castile soap. Melt grated soap and rose water over low heat. 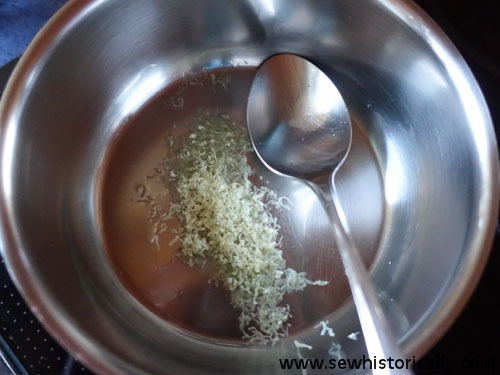 Melt the cold cream, then add the dissolved soap and stir until combined. 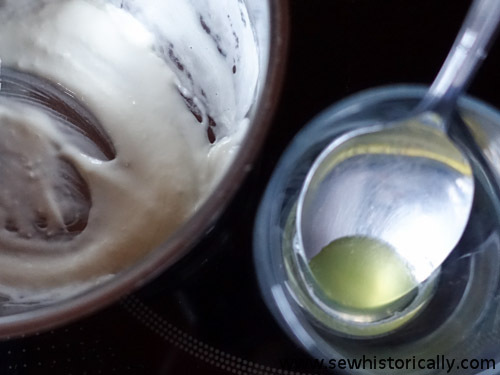 I compared this 1890s shaving cream with two modern homemade shaving creams. One contained coconut oil, oil and castile soap; the other was made with honey, oil and castile soap. I have really sensitive skin on my legs and I usually get a rash after shaving my legs with commercial shaving cream. Quite unexpectedly neither of the shaving creams produced a rash. Yay! After the shave I dabbed some homemade rosewater on my legs which also might have helped to prevent a rash. 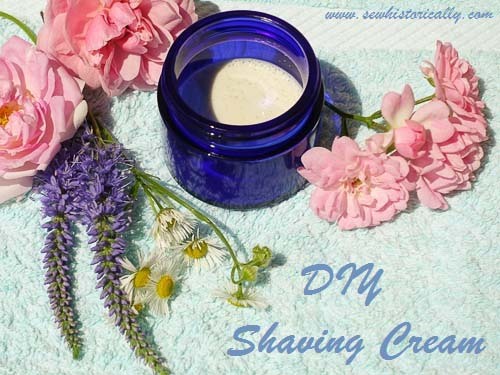 All three shaving creams were easy and fast to make; and all three left the legs smooth and moisturized. 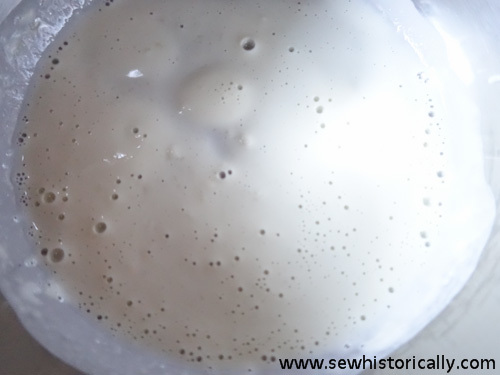 The Victorian shaving cream had the best consistency of all three shaving creams, and smelled the best. It also was the easiest to use. However it did clog the razor – it clogged the razor less than the coconut shaving cream, but more than the honey shaving cream. To clean the razor: mix hot water with some soda and some vinegar. After some minutes in this solution the razor is clean again. 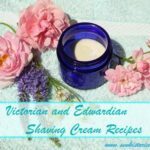 Here you’ll find more Victorian and Edwardian shaving cream recipes.